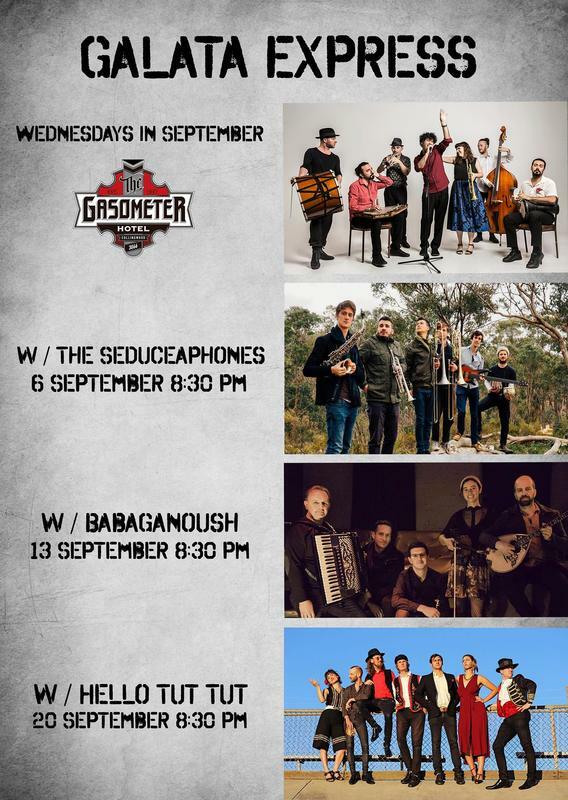 ﻿We are at the Gasometer Hotel first three Wednesdays of September with amazing support bands! Turkish Gypsy Music Workshop ​registrations are open. Only nine spaces available be quick. We are on Bandcamp now!